Keep Your Family Safe with MapItFast - AgTerra Technologies, Inc.
Every 4th of July weekend my family and I take the opportunity to explore the backyard that is our great country. This annual adventure has been even more exciting the last several years as we moved from our lifelong home in Florida to the great state of Wyoming. The town of Sheridan overlooks one of the most beautiful landscapes Wyoming has to offer – the Bighorn Mountains. Because the area is still somewhat unknown to us, I needed to make sure that my family was safe and prepared with as much knowledge as possible. As a general rule, I do not allow the use of electronics when my family goes camping. The purpose of camping is to get away from the noise of the city and recharge our internal batteries, not the ones contained in devices. With that said, my wife and kids are not very good at reading paper maps. I needed something that was easy to learn, could show our position on a map, would work offline and allow us to plan our hikes by drawing routes on a map. MapItFast fit that description perfectly. Each family member downloaded the MapItFast app to their Android or Apple device. They accessed the free version by clicking past the login screen on the app. I showed each member of my family how to locate their position on the map and how to draw out a route of where they wanted to go. While we were at home with an internet connection, each of us panned around the map to download aerial imagery. That way we could see trails, roads, lakes and other areas of interest while offline. At the campsite, we broke up into three groups and shared our plans with the others. With MapItFast in hand, the groups marked their starting locations on the map, split up and spent the day exploring. 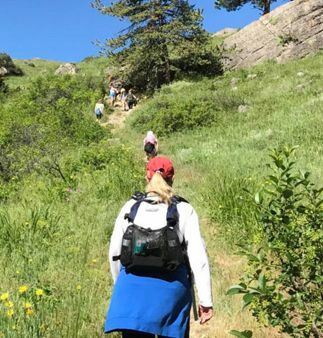 Since users were able to see where they started and have a live line follow them on their hike, getting lost was never a concern. The piece of mind that came from just a few extra minutes of planning at home was a great feeling. 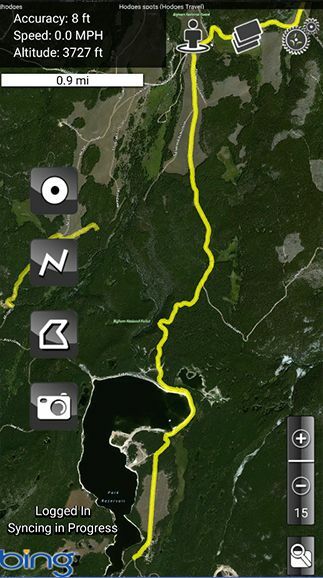 MapItFast allows hikers to explore without fear of getting lost. Keep track of where you are going and where you’ve been with the MapItFast app.